Be a Game Changer. Do you want to create something unique? Change the society, develop a new innovation – or a whole new industry? At Aalto University, we believe in curiosity and we encourage our students to explore the unknown and do things in a totally new way. We offer the highest level of education in business, art and design, architecture, and technology in Finland. 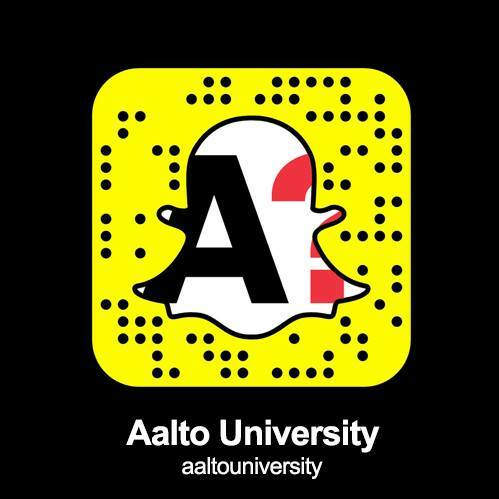 Aalto University degrees get you going for a successful career. In Helsinki and on the adjacent Otaniemi campus, Master’s and Doctoral Programs draw talented academics from all over the world. Students get hefty discounts in transport, lodging, and dining. Except for the joint programs, Aalto University charges no tuition fees. Aalto University School of Business is the first business school in the Nordic countries to have received all three labels of excellence from the world’s leading business school accreditation bodies: AACSB, AMBA and EQUIS. This Triple Crown status is an honour held by only a few business schools worldwide. From the beginning of your studies, you will get to participate in interesting projects and hone your practical skills. The blossoming startup scene and initiatives like Aalto Design Factory help our students generate real businesses out of their dreams and ideas. Under the tutelage of several distinguished scholars, you can also enter the realm of research and strive for the best. Freedom to Move Aalto University has extensive partnerships with over 400 universities worldwide. For example, the School of Business has exchange programs with some of the best business schools in the world. International doctoral and post-doc researchers, teachers and summer schools are a strong testimony to our opportunities. Tuition fees for Bachelor and Master programmes taught in English from 1 August 2017 onwards are subject to annual fees for non-EU/EEA citizens. Programmes taught in Finnish or Swedish are free of charge for all students. EUR 15 000 per academic year for study options leading to a master's degree. There are several ways to fund your studies at Aalto University. Prospective non-EU/EEA students applying to Aalto University Bachelor’s and Master’s programmes as well as Nordic Master programmes are eligible to apply for scholarships awarded from the Aalto University Scholarship programme. Certain international joint degree programmes have their own tuition fees and scholarship schemes. There are also some possibilities to apply for a scholarship outside Aalto University. Aalto University Scholarship programme seeks to recognize talented non-EU/EEA students across the world by awarding academic excellence. Scholarships may cover 50% or 100% of the tuition fee. The number of scholarships awarded is limited and depends on the budget available to the programme. Aalto University is also building an incentive scholarship system in which an additional waiver will be rewarded to students who have made good progress in their studies. Applicants apply for the scholarships at the same time they apply for their preferred study options with the same application form. The scholarship decision is given together with the admission decision. The decisions on the awarded scholarships are made on the basis of the academic merits of the students selected to study in the programmes. At the moment, Aalto University does not offer any scholarships to cover living costs in Finland. Students are expected to cover all living expenses (app. EUR 800 per month) and other study-related costs from their own financial resources. Scholarship recipients must still be able to fund their living costs, as per the requirements of the Finnish Immigration Service. Students who were selected during the application period 2016 to English-taught bachelor’s or master’s programmes will not be required to pay tuition fees and cannot apply for scholarships. Be sure to follow us on Snapchat! The Contemporary Design Programme supports students to discover and advance their individual creative processes and in linking them to the problem-solving processes and methods of others. Students are working in a multifaceted learning environment that provides support for creativity, as well as critical and analytical thinking. The program bridges research and design, and it provides students with strong foundation in practice-based research. It educates sensitive and visionary students who have skills to propose radical solutions and responsible innovations for the future. Would you like to explore the exciting opportunities new digital technology opens to communication, interaction and expression – and find a career where you can utilise your creativity? New Media Design and Production is a major subject within the Master’s Programme in New Media, focusing on art and design in interactive media. The education is project-oriented, combining practice with theory. You can focus on dynamic visualisation, art & culture, interaction design and interactive & generative storytelling. The programme is fully taught in English, and your master’s thesis can be written in Finnish, Swedish or English. The master’s programme in International Design Business Management (IDBM) is a 120 ECTS credit joint offering between the Aalto University School of Arts, Design and Architecture, School of Science, and School of Business. The programme is taught completely in English. The first year of studies consists of a set of intensive compulsory study modules in all three schools and requires full-time commitment. The second year of studies is more flexible to meet individual needs and interests. A reliable and affordable energy system is a basic requirement of a modern society. Today, energy systems face challenges with the flexible integration of different energy forms (power, heat, fuels) and with the increasing complexity of the systems due to distributed power generation and emergence of active produces-customers, i.e. prosumers. Integrating intermittent renewable sources like solar, wind and wave energy, into the energy system is one of the main challenges of our sustainable future. This major offers basic understanding of energy systems, the main challenges faced by our energy solutions today and possible ways towards a sustainable future. The learning outcomes are based on the regulations of the EU directive that applies to pursuing the professional activities of an architect (Directive 2005/36/EC of the European Parliament and of the Council on the recognition of professional qualifications). According to the directive, an architectural degree meets the expectations of the construction industry and also enables a career outside Finland. The Master's Programme in Automation and Electrical Engineering is a broad multi-disciplinary programme providing graduates with the ability to work in and between a wide variety of fields - ranging from traditional Electrical Engineering and Energy sectors to Biomedical Engineering, Control Engineering and Robotics. Drawing from extensive research in mathematical and natural sciences, the curriculum is flexible and allows each student to study a unique combination of courses to suit his/her own interests. The Master's Programme in Building Technology offers comprehensive academic and professional education in a variety of disciplines within civil and structural engineering. Civil engineering plays a key role in creating safe and healthy built environments. Combining the global needs for energy efficiency and sustainability with the characteristics of a good living environment requires theoretical understanding, professional skills and a broad perspective. If you are interested in energy storages, smart device or medicine, Chemistry offers you a strong scientific basis to take part in their development. In our major, you can choose from a broad selection of advanced chemistry areas to specialize in computational chemistry, inorganic materials chemistry, electrochemistry or synthetic organic chemistry. During your first year, you will familiarize yourself with fundamentals and practical work on these areas and after that will have a solid base to select your preferences for the remaining studies. The School of Chemical Engineering combines natural sciences and engineering in a unique way. This allows the results of our research to be refined a long way and put into practice as ready products and processes. Each innovation secures both our renewable and non-renewable natural resources for the future. Imagine a world without metals. Without metals, there would not be cities, energy, transportation and many products that improve our quality of living. Metals have been, are, and will be one of the main pillars of the modern society and economy. As a result of the digital revolution, which is radically transforming the world, there is a constant need for well-rounded communications engineers with great knowledge of the technology fundamentals, in-depth programming skills and a solid understanding of the business dynamics. Game Design and Production is a multidisciplinary major that tightly integrates students from different backgrounds. Students of the programme get to create and analyze games, experiment with new technologies and design approaches, and meet brilliant people with whom to build the future. Studies in Human-Computer Interaction (HCI) prepare future experts and leaders who use advanced methodologies to design and develop information technology for the benefit of people. Advances in hardware, machine learning, robotics, software engineering, and networks have opened remarkable new possibilities in information technology. Studies in Human-Computer Interaction (HCI) prepare future experts and leaders who use advanced methodologies to design and develop information technology for the benefit of people. Machine learning is one of the strong points of Aalto University. This solid education in modern computational data analysis gives you excellent opportunities for a career in research institutions or in the private sector in the rapidly developing fields of machine learning, data science, and artificial intelligence. The Master's Programme in Economics develops your ability to apply economic theory to a wide range of economic phenomena. The programme qualifies you both to understand the connection between micro- and macroeconomic questions and to see the causality between such questions. In addition, the programme equips you with appropriate econometric and mathematical analytical tools to address economic issues and problems. You will learn to analyse, organise and effectively communicate your analyses. Through the Master's Programme in Electronics and Nanotechnology you can become a future trailblazer and game changer in wireless technologies, space technology or nanotechnology. Electronics and nanotechnology enable many new things in our world: life becomes wireless with a growing number of mobile devices surrounding us, space technology is sky rocketing in the form of small satellites, and nanotechnology enables major breakthroughs in many fields, such as solar energy harvesting. Through the Master's Programme in Electronics and Nanotechnology you can become a future trailblazer and game changer in one of these fields. The Master’s Programme in Entrepreneurship and Innovation Management (EIM) gives you leading-edge insight and a unique challenge-based learning experience in the most vibrant student-led entrepreneurship community in Europe. Interested in starting up and developing new businesses? Motivated to invent and design new products and services? Curious about how entrepreneurship theories can be applied to solving real-life challenges? Passionate about pursuing bold ideas that can make the world a better place? The Master’s Programme in Geoengineering equips you with the skills for working on large construction projects that involve soils, rocks and other earth materials. Geoengineering relies on a wide range of disciplines, including geoscience and material science, mechanics and construction. Structures of interest are foundations, roads, excavations and underground structures like tunnels. Master's Programme in Geoinformatics turns students' talent and hard work into excellence. After graduating, you will be able to work effectively in many roles in the society, applying and utilizing current knowledge of geoinformatics, and to contribute to the further development of the field. The Global Management programme with CEMS Master’s in International Management grows agile, reflective and responsible decision-makers who embrace change. Students learn to identify and harness opportunities and solve challenges in a rapidly transforming global business environment. The GM/CEMS programme calls for ambitious students interested in growing professionally as well as personally to assume ethical and responsible leadership roles in the future. The programme builds on knowledge acquired by the students in their respective specialization area during the first year of their GM/CEMS studies. The Master’s Degree programme in Industrial Engineering and Management (IEM) educates engineers who are capable of developing and leading technology-based businesses with an entrepreneurial mindset. The programme equips students with a systemic, solution-oriented engineering mindset. The distinctive feature of IEM at Aalto University is that it combines classical industrial engineering, which emphasizes understanding and developing operational processes and complex systems, with a focus on strategic and entrepreneurial leadership. The interdisciplinary programme has a strong emphasis on data analysis and project management. The skills you learn will help you analyse the ever-growing supply of information, as well as manage new technologies and electronic business operations. In the Master's Programme in Information and Service Management (ISM), you can focus on one of three areas of specialisation: Business Analytics, Information Systems, and Logistics and Service Management. The Master's Programme in International Design Business Management helps you become a future creative professional in integrating design and technology with global business development. The multi-disciplinary International Design Business Management (IDBM) programme produces drivers of change and innovation to lead initiatives and undertake new business ventures within global environments. The programme embraces design more broadly as a method, mindset and competitive advantage by focusing on product, service and business design, technology and innovation management. The Master's Programme in International Design Business Management helps you become a future creative professional in integrating design and technology with global business development through transdisciplinary teamwork and real-life challenges provided by our renowned industry partners. Technological innovations have become an essential part of modern healthcare, well-being and bioeconomy. Therefore, both in academic research and industry there is an increasing need for people who can deal with today's increasingly complex biomedical problems. Generates innovative strategies for global markets? Creates inspiring workplaces? Empowers people in multi-cultural business environments? Communicates effectively in changing organisational contexts? Leads the way towards a more sustainable future? The Master's Programme in Mechanical Engineering empowers students to follow their interests in the field and become experts with versatile skillsets. Today's society relies on mechanical engineering for effective and safe solutions everywhere. The field covers a wide range of activities and technology sectors, from energy and transportation to medical devices and environmental protection. There is no shortage of tasks, challenges, and opportunities where mechanical engineers create innovative solutions. Mechanical engineering applies to everything from the smallest components to the largest assemblies, resulting in a persistent demand for mechanical engineering expertise. The Master's Programme in Real Estate Economics offers a thorough understanding of the dynamics of real estate markets. You will attain a holistic understanding of the phenomena related to real estate markets and learn the techniques used to analyse and manage real estate. The programme combines the scientific disciplines of economics, management, land management and planning to provide you with the key skills needed in a wide range of career paths in the real estate sector. The Master's Programme in Security and Cloud Computing (SECCLO) is a two-year Erasmus Mundus double degree programme that provides students with a broad understanding of the latest and future technologies for secure cloud and mobile computing systems. The Master's Programme in Spatial Planning and Transportation Engineering focuses on the future challenges of sustainable built environments and tackles topical global megatrends, such as urbanisation, climate change and wellbeing. The programme comprises a unique combination of technical and human-centered approaches in the fields of land use planning and transportation engineering, including a wide range of perspectives, from people's daily lives and mobility to large-scale strategic and systemic thinking. Water and environmental engineering is essentially about making the world work! With limited natural resources and an increasing demand for water, food and energy, we look for practical ways to develop our society in a sustainable manner. The Master's Programme in Water and Environmental Engineering combines a strong technical basis with a sound understanding of the broader societal context to educate game changers who are able to achieve this ambitious goal.